The spa industry in Singapore is flourishing. The country is positioned as the urban spa hub of Southeast Asia by its tourism board, despite its relatively small size and reported economic downturn. Part of Singapore’s spa explosion is due in part to this increase in tourism. According to Intelligent Spas’ Spa Industry Profile Singapore 2003–2008, the number of spa facilities has grown 63.2% since 2003. Of these, 58% were day spas, defined as “a business offering spa treatments based on authentic water-based therapies and practices by qualified personnel in a professional and relaxing environment,” and 14% were located in hotels and resorts. The number of spa businesses is forecasted to increase 11% by the year 2008. 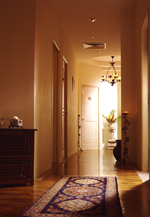 According to the same study, the average indoor area of a spa facility in Singapore is 6,491 square feet. Of this, 54% of the total spa space is dedicated to treatment rooms, which means an average of 8.7 rooms per facility. Of these, an average of 4.7 are used as combination wet/dry treatment rooms. Prices for standard treatments are also equivalent to, if not less than, those of comparable services in the United States. According to the Intelligent Spas’ study, 60-minute body wraps were priced, on average, from $71; 60-minute massages from $64; and 60-minute facials from $64. Several new trends were highlighted at March’s BeautyAsia 2007, the 11th International Cosmetics, Skin Care, Fragrance and Hair Products, Equipment & Packaging Technology Exhibition, which incorporated Spa Asia 2007, Health Asia 2007 and Natural Asia 2007, and was held in Singapore. Natural products—Green is the new black. Ayurveda—The industry is turning more toward holistic therapy and wellness and going back to the basics. Food as cosmetics—Using ingredients such as chocolate, green tea, tamaran, papaya, saffron, coffee and fruit augur is becoming popular. Hands-on—Singapore looks to Thailand and India for examples of techniques. Pain-free treatments—They can help reduce the appearance of facial lines and wrinkles. Traditional Chinese Medicine (TCM)—Treatments involving techniques such as acupuncture and qi-, or energy-, balancing, are on the rise. sharing views on the industry with the spa professionals. My journey was eye-opening and enlightening as I learned more about the trends and consumer demands that drive these businesses. Earth Sanctuary Spa & Boutique. This unique, holistic day spa is managed by The Wellness Group, which also is a distributor of spa products. Here, therapists are sent to different countries to train. “We take various treatments from different countries, and then give them an Asian twist,” says Albert Kok, vice president, sales and marketing international, The Wellness Group Private Limited. The range of treatments and products are designed to complement holistic therapies, and include “Healing Hawaiian, native Australian Aboriginal Dreamtime, legendary Thai, holistic ayurveda, traditional Indonesian Jamu remedies and other unique therapies and treatments, along with principles of music therapy, color therapy, aromatherapy and herbalism,” says Kok. In this five-room facility, a majority of the clients are men who come in mostly for massage. “The spa is for those who want balance and harmony in their lives,” Kok says. Clients come from Japan and Russia; however most of the spa’s clients are local executives, and nearly 1million of them—a quarter of Singapore’s population—are said to be expatriates who hail from America, Japan, China and France, says Kok. “It is important to educate the consumer on mind/body/soul,” he states. The spa and boutique has staff that brings in new products and also understands the concept outside of Asia. The Bodywork Training Institute is the training arm of Earth Sanctuary Day Spa, providing short courses for individuals and continuing education for practitioners. “We invite those who are interested to share the experience of studying holistic therapies in an environment that is supportive and friendly, and where each person has an opportunity to grow and to fulfill dreams” explains Kok. Estheva Spa. This high-end spa, which is considered a medical spa, was opened in July 2000 by His Excellency, The Ambassador of Switzerland, Raymond Loretan. Its name translates into a place where life is always a beautiful experience. Tan Wee Tech, the spa’s director, says the spa has seen double-digit growth this past year. Unfortunately, space is a prohibitive factor even with the spa’s fairly expansive 5,000 square feet, which includes an aromatic steam room, hydrotherapy rooms, a makeup room, personal lockers, spa retail shop, retreat space and VIP spa suites with built-in showers. The spa is situated within the exclusive Palais Renaissance Shopping Arcade, home to many upscale boutiques. On the Menu: The range of treatments is designed to complement holistic therapies, combining ancient traditional wisdom: healing Hawaiian, native Australian Aboriginal Dreamtime, legendary Thai, holistic ayurveda, traditional Indonesian Jamu remedies and other unique therapies and treatments with principles of music therapy, color therapy, aromatherapy and herbalism. On the Menu: Specialized treatments and traditional healing therapies ranging from Chinese Tui Na to Javanese massages and ayurveda, coupled with advanced technologies and techniques from the United States and Europe. ir of youth,” and this spa retreat is dedicated to total well-being and renewal. Because the spa is located at Raffles The Plaza in Singapore and is within the hotel sector, it sees a lot of businessmen as clients—in fact, approximately 45% of its business is from men. This is apparent on the spa menu, which includes such services as Golfer’s Escape and Gentlemen’s Kur, as well as 10 different modalities of massage. Red White & Pure. The Red White & Pure flagship in Singapore is amazing. Richard Eu, group chief executive officer of Eu Yan Sang International Limited, is also the founder of Red White & Pure, a new lifestyle brand of spa that recently opened its doors at the übermodern VivoCity shopping mall in Singapore. Its concept is clever and unique. The 10,300-square-foot location, branded as a lifestyle concept store, offers customers the ultimate wellness experience and is a prototype of the new business concept that will be rolled out globally during the next five years. This new brand was developed specifically to target international markets, including North America, Europe and Australia. This flagship incorporates wisdom from the East and the sophistication of the West through a fully integrated range of health-focused services that include therapy and treatment facilities, retail galleries, learning venues, and food and beverage options. “The Red White & Pure brand represents Eu Yan Sang’s consolidation of its core competencies and is our strategic weapon to penetrate the nontraditional markets for TCM (Traditional Chinese Medicine),” says Eu. Leading the team alongside Eu is Thomas Yasuda, managing director, whose impressive résumé includes Tokyo-based Homeostyle, Inc. and The Body Shop International PLC. This tranquil escape offers an integrated range of spa and skin care services that are complemented by seven well-appointed treatment rooms, each with an attached shower. The suite of rooms includes two spacious couple’s treatment suites and one VIP treatment room complete with a whirlpool. These special rooms also have private steam rooms, and for those wanting to detoxify and improve blood circulation, a foot reflexology room is available. Whatever Yoga & Healing Space. This extremely holistic space has been open for three years. It offers classes in a warm and conducive environment and provides personalized attention to those looking for relaxation, peace, wholeness, health and spiritual well-being. This holistic lifestyle center incorporates a new-age bookstore, organic vegetarian café, yoga center, healing space and concept store, housed in two different locations. Later this year, the business will move to new premises and its name will change to Whatever the Yoga & Healing Wellness Spa. Stella Yfantidis, its founder, previously ran a fertility center in Australia. She worked on introducing yoga and meditation to the practice there and had marginal success, but in 1991 decided to leave Australia for Singapore in search of some spiritual healing. Having Doreen Virtue, PhD, a spiritual clairvoyant, as an inspiration, Yfantidis claims that a lightbulb went off in her head one day, and she decided to give Whatever Yoga & Healing Space a go. She opened the two spaces, across the street from each other, within three months. Whatever Yoga & Healing Space currently employs 12 practitioners that help with healing. “They are all ‘teachers’ in different forms, including tarot, astrology, hand analysis, clairvoyance and energy healing. They all need to be authentic in order to help heal humanity,” she states. Yfantidis feels that healing is the direction this industry is heading. “While so many of us city dwellers are placing increased emphasis on our lifestyles and health—a number of us have gym memberships, some schedule sessions of indulgence at the spa, and others visit their doctors periodically—we are still missing a holistic lifestyle center that caters to all aspects of our being,” Yfantidis stresses. The Intelligent Spa Survey identified that a key trend in the Singapore spa industry indicated by managers and owners was the competitive and affordable prices currently being offered. Another trend was the increase of medical-related treatments being introduced. And, as in the U.S. market, spa-goers in Singapore are looking for a total spa experience. As for client trends, these Asian spas are seeing more male and younger clients, as well as more couples’ services, and gift certificate sales are on the rise. Sinnathurai feels that a big trend is the return to the basics. “A lot of Asian treatments are going back to ayurveda and Chinese traditions,” she explains. “Most of the treatments are hands-on—look at Thailand and India for examples. A lot of people come to Asia as a retreat and for detox programs, plus as a way of their lifestyle. Yfantidis states that a problem with spas in Singapore is the high turnover in service, noting that it is a very business-focused country. She sees the industry as changing more toward holistic therapy and wellness. And as for the future of Whatever, she would like to franchise it and increase the healing center. “I’d like to make it more spa-oriented and bring in more organic products, all natural-based. It’s all about going back to nature,” she states, adding that spas in Singapore are going away from pampering and moving more toward healing. Despite the challenges, the spa future looks promising for this business-savvy country, and with tourism on the rise, spa managers will be putting more marketing power into working on capturing this affluent market.